My good friend professional bladesmith Chris Grant has very kindly sent me a link to this informative video to follow up from a conversation we had some months ago about Japanese steels. 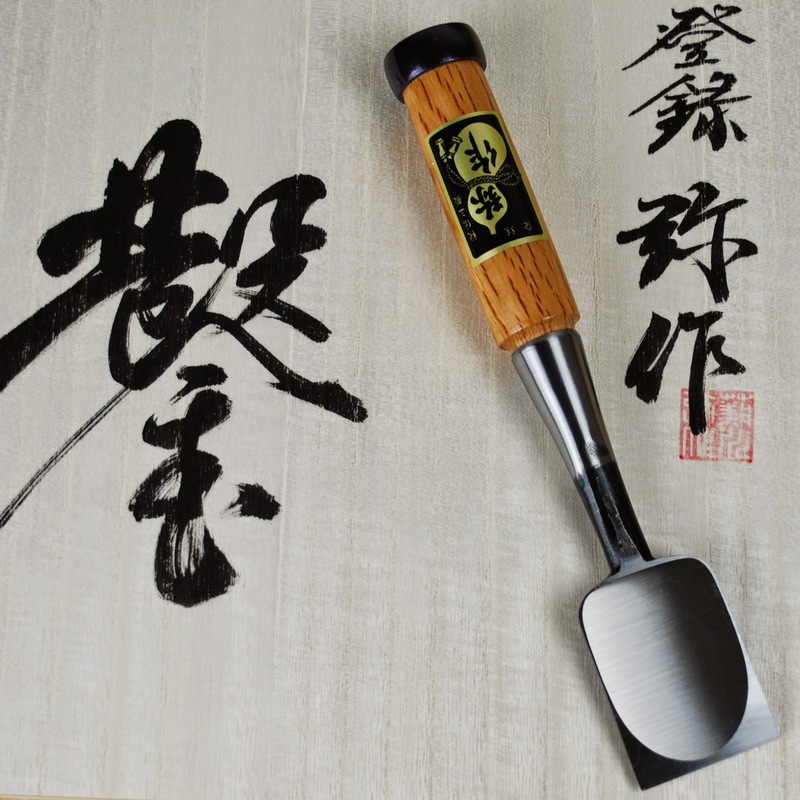 It is a wonderfully eloquent explanation by master smith Murray Carter (who served a full Japanese apprenticeship and then made knives in Japan for another 12 years) of the difference between Hitachi white paper steel (as used in Mr Fujikawa's chisels) and blue paper steel. Chris knows more about steel than I ever will, he has worked extensively with a range of high grade steels, including blue and white, and his heat treatments are just out of this world. I'm in the process of getting to know one of his remarkable MaChris woodcarving knives at the moment - more on that shortly, but it is certainly stretching my perceptions of what is possible. I find it completely fascinating that really good smiths, through technique alone, can exceed the innate properties of the materials they work with. I have experienced the benefit of it, had it explained to me both from a craft perspective and a scientific / metallurgical one, and yet it still feels like total witchcraft.